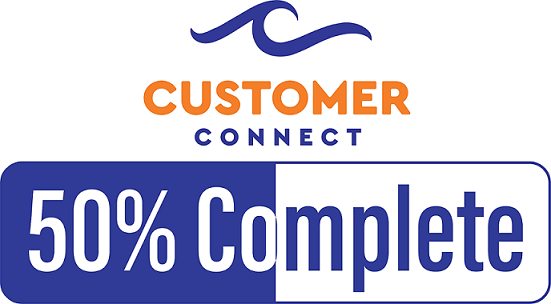 On Friday, February 1st, 2019, Halifax Water’s Customer Connect team, with the help of our customers, achieved a major milestone with 50% (just over 42,000) of the Advanced Metering Infrastructure water meters installed. Land and Sea is CBC Television’s longest running regional program. The series documents the lives of Atlantic Canadians who make their livelihood off the natural resources of our region. A crew from Land and Sea visited the Halifax Wastewater Treatment Facility, Halifax Water’s Biosolids Processing Facility and a local farm to get a full cycle overview of Halifax Water’s program that produces a Class A fertilizer from biosoilds. This valuable resource, which is used by the local farming and landscape community, helps close the wastewater loop and return precious nutrients back to Nova Scotia soils, rather than landfilling or other wasteful options. In many countries, a clean, safe reliable supply of tap water is not available. Often times visitors to Halifax area hotels are reluctant to drink the tap water in their room because they don’t think it is safe to do so. In order to raise awareness about the quality of our local municipal tap water, and cut down on the wasteful use of bottled water, Halifax Water partnered with the Tourism Industry of Nova Scotia (TIANS) to promote using tap water. Local hotels leave cards in rooms to let guests know that Halifax Water tap water meets strict national and provincial quality standards, encouraging guests to drink Halifax Water over bottled water. Education is key to helping set our communities on a path to success. Since 2008 Halifax Water and NSCC have been partners in building our community through four scholarships funded by Halifax Water. Since that time, Halifax Water has given over $100,000 in awards. To help celebrate this partnership, on February 21st approximately 55 NSCC alumni joined General Manager Carl Yates and NSCC President Don Bureaux for the NSCC Alumni @Work event. Alumni @ Work events are a chance to connect with alumni in the workplace and to celebrate employers who have hired NSCC graduates. There are over 75 NSCC alumni currently working at Halifax Water.